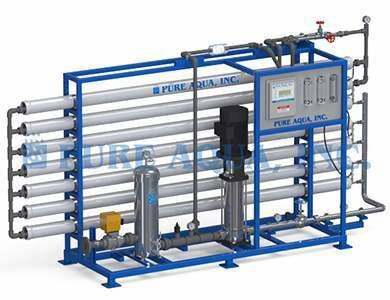 Pure Aqua, Inc. builds the complete Brackish Water Reverse Osmosis systems, as well as stock all major components for your maintenance needs. 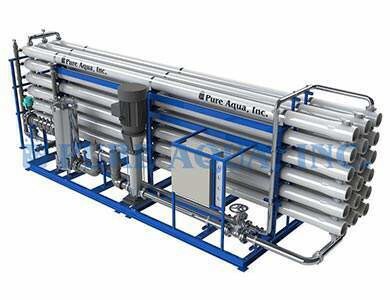 Controls, replacement cartridge filters, high pressure pumps and membrane elements. 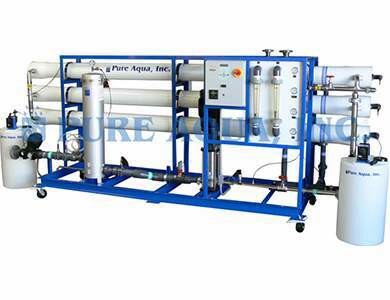 Reverse Osmosis (RO) technology, also known as hyper filtration, is used in every one of our stock and custom-made reverse osmosis water treatment systems to purify water by removing salts, contaminants and other impurities. 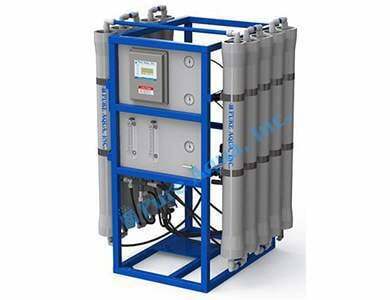 Our full line of Brackish Water Reverse Osmosis Systems are available with a wide range of of capacities (up to one million gallons per day) and turbidities (up to five thousand parts per million total dissolved solids). In this way our systems set the standards in the water treatment industry. Our friendly knowledgeable engineers and staff are always on hand to help and answer any questions or concerns you may have. We design each of our systems to be plug-and play, with all membranes, pumps, controls, manuals, filters, operating, and piping installed and ready to go.